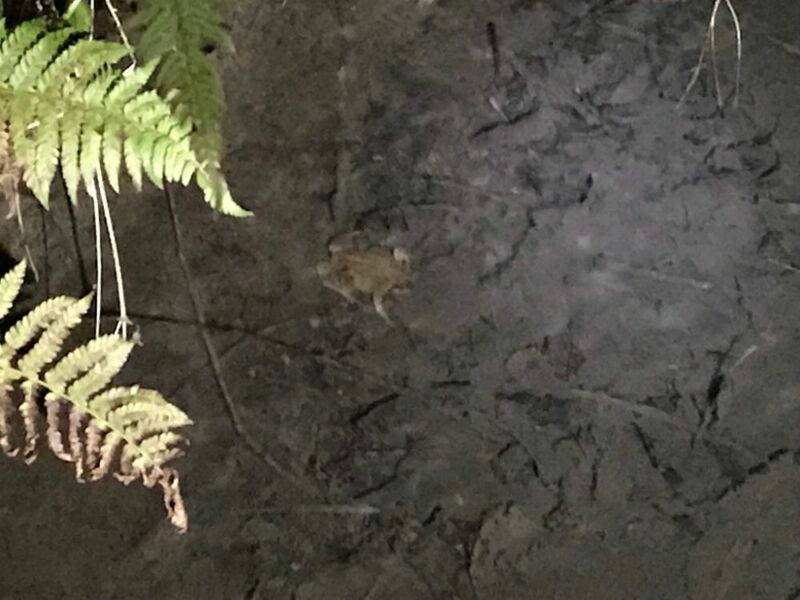 Was surprised to see this (what I believe to be) common frog in a small pool in a fast flowing stream this evening (9th January 2019) whilst walking the dog. Temperature was about 5 degrees C, pretty frosty the last few nights. Not the best of photos as I had to use my phone and he was a little distance away. Have also seen a few frogs bobbing around in the pond at night so shouldn't be too long before the first spawn I think. After my dithering over frog appearances, I certainly saw one swirl off in the large pond this morning and this evening. Also there was a frog calling from in the pond-side vegetation. Not a proper call more like cat purring and another strange noise. So far the daytime temp and this evening have been similar at 9/10deg. We had a white frost this morning with ice on the ponds. Palmate newts seen as well. First 3 males seen in the garden pond a couple of nights back. Hope for more activity pretty soon! A few nights back I had 7 male frogs and 1 female frog turn up at my pond. The female quickly partnered and was joined in amplexus with a male. But 3-4 days later and I've still had no spawn from them. Saw these three in my small original pond. Nothing frog wise in the large pond, but about eight palmates on the move. First pair spotted this Evening here in Essex. over 30 in the pond but still no sign of any spawn - saw loads of water boatmen today, including one that flew in whilst I was watching! 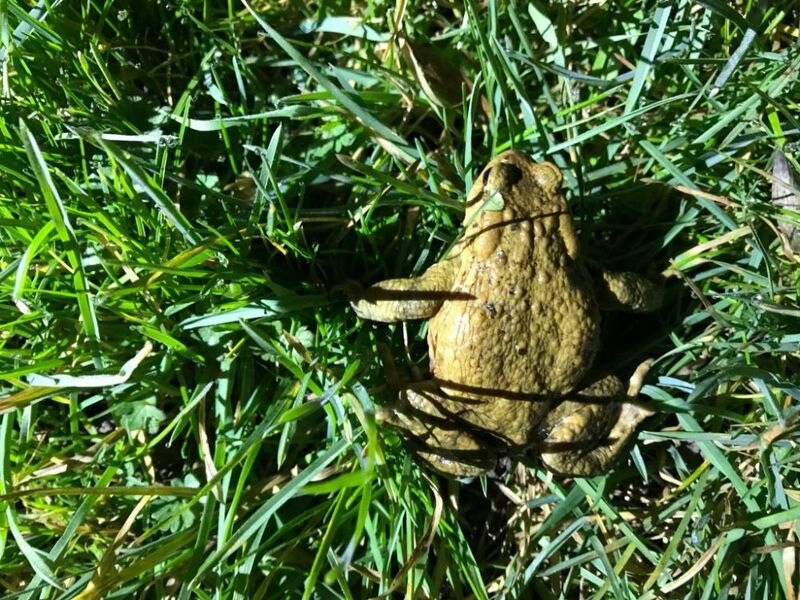 I would say toad because he is quite warty and has small back legs for crawling, but I’m not an expert and agree it can be confusing, esp when you haven’t seen one for a while!